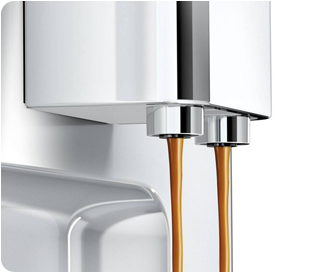 A fully automatic coffee maker presses hot water through the freshly ground coffee with high pressure during the brewing process. The ground coffee only comes into contact with the water very briefly; therefore fewer bitter substances are released. Through the pressure and a special crema valve, a fine crema is also created on the coffee – for special coffee enjoyment. For individual taste, with most fully automatic coffee makers – as also with the CAFFEO® – the strength and quantity of the coffee can be set individually. 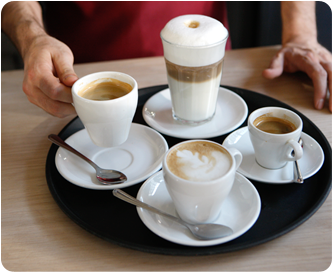 A wide variety of coffee specialities can be prepared with the CAFFEO®. Depending on the combination of coffee beans, coffee quantity and water quantity, you can e.g. prepare espresso or a completely regular cup of coffee. 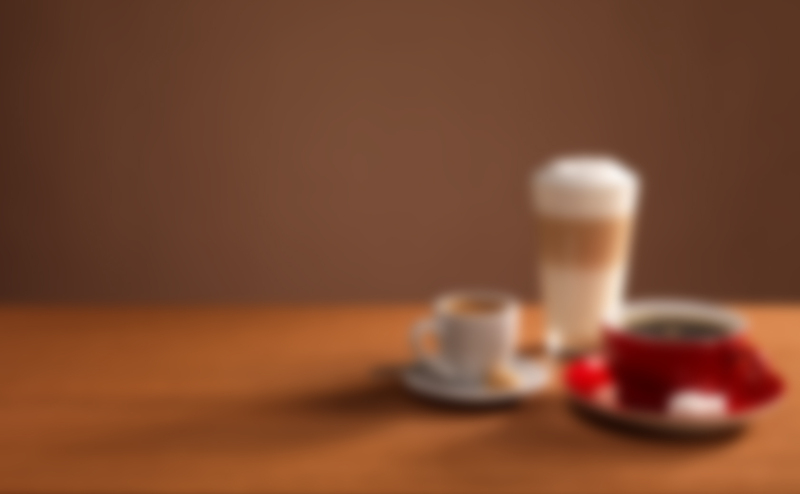 The fully automatic CAFFEO® coffee makers also have a milk foam nozzle – so that cappuccino, latte macchiato & others practically make themselves. Most fully automatic coffee makers offer the option to use a second variety of coffee as ground coffee. In this case, we recommend using whole beans, which you only grind shortly prior to preparation. 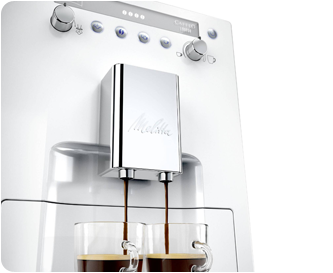 If you intend to use two varieties of coffee on a regular basis, we recommend CAFFEO® by Melitta® with Bean Select, the 2-chamber bean container. Choose between both bean varieties from cup to cup. Depending on the quantity of water, the preparation of a cup takes between 25 and 55 seconds. 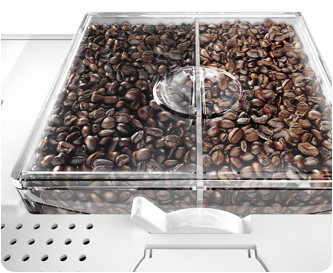 With the CAFFEO® fully automatic coffee maker, you can prepare two cups at the push of a button.